When pests invade a food facility the consequences for product loss and remediation costs can be exponential. Whether inside or outside, live or dead, in a finished product or raw materials, the need for an Integrated Pest Management System is key to ensuring FSMA compliance, good sanitation and is critical to operations. Learn common pitfalls many companies make to successfully managing pests in food and warehousing facilities from EAS Independent Consultant, Jerry Heaps, a board-certified Entomologist (BCE) in Urban and Industrial Entomology as well as an internationally qualified trainer in HACCP-based food safety systems. Assess your facility’s IPM and take actionable steps to correct any deficiencies for a healthier, safer and compliant system. Register today! EAS Independent Consultant, Jerry Heap, is a Board Certified Entomologist (BCE) in Urban and Industrial Entomology as well as an internationally qualified trainer in HACCP-based food safety systems. Technical food safety skills in food plant production, supply chain and warehouse food safety management systems, inspections/auditing, National Organic standards and inspections, FSPCA-recognized FSMA “Lead Instructor”, food safety risk analyses and pest control. Both at the Corporate and local level, consults on improving the food safety management systems of food plant and warehouse programs, sanitation practices, GMP’s and pest control/IPM programs. 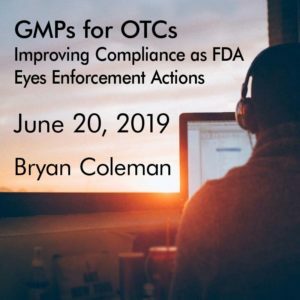 Join Bryan Coleman, EAS Senior Director for Drugs and Medical Devices for a complimentary webinar on June 13, 2019 at 1:00 pm eastern where he will discuss the specifics of GMP compliance under 21 CFR Part 211 and common pitfalls that warrant increased FDA attention. EAS Consulting Group is pleased to announce a partnership with Vitafoods Europe as the exclusive training partner for Dietary Supplement Good Manufacturing Practices (GMPs). 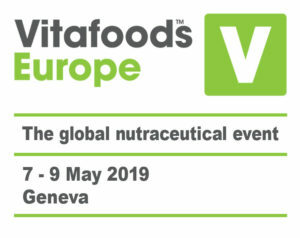 EAS Senior Director for Dietary Supplement and Tobacco Services, Tara Lin Couch, Ph.D. will present a one-day training on GMPs in advance of the 2019 Vitafoods Europe on Monday 6 May, the day before Vitafoods Europe 2019 official opens its doors. The training will cover critical information needed to comply with the rules that govern the responsibilities of domestic and foreign firms who manufacture, label, pack or hold dietary supplements for sale in the United States, including those involved with the testing, quality control and distribution of supplements. This training will help firms understand their GMP requirements in an in-person personalized setting, providing an opportunity to learn directly from our GMP expert and ask specific questions regarding GMP issues or situations. In addition, EAS Independent Advisor for the Food Safety Modernization Act (FSMA), Charles Breen, will speak at the Vitafoods Europe main conference on Supplier Hygienic Commitments and EAS will exhibit at Vitafoods Europe at stand B149. We invite you to stop by the booth or make an appointment to discuss your regulatory US FDA compliance challenges. Vitafoods Europe is the premier dietary supplement, food and nutraceutical trade show held in Europe. From May 7-9, 2019 thousands of leaders across the globe including suppliers of ingredients, raw materials and the companies which service them will come together to create innovation, connect with business leaders and find effective solutions. Vitafoods is dedicated to covering the entire nutraceutical supply chain – from ingredient to shelf. The Food Safety Modernization Act, signed into law in 2011, includes an important provision for food importers under the Foreign Supplier Verification Program (FSVP) Final Rule. Namely, Part 1 Subpart L, Section §1.503 requires that importers of human and animal food enlist a Qualified Individual (QI) who has responsibility for developing a program and performing each activity under the program to ensure that the products that they are importing are not adulterated or misbranded (in regards to allergens) and have been produced in accordance with the preventive control regulations for human or animal food (CFR §117 & 507 respectfully), or the Produce Safety Rule (CFR §112). Companies importing finished food and food ingredients for further processing into the U.S. must have a QI, either an employee or someone contracted to perform QI duties. This FSVP QI looks at each supplier closely and determines whether the foods or food ingredients they produce meet FDA’s strict safety requirements by assessing the supplier’s food safety plans and determining whether adequate controls are in place that would reduce or minimize harm due to biological, chemical and physical hazards. The QI would also have to identify verification activities that would ensure that the hazards are being addressed. Based on the type of activity identified, the importer may also have to enlist a Qualified Auditor (QA) to perform this function. Everyone with a role in the importation of foreign sourced foods should be familiar with applicable FSVP requirements including brokers ,exporting shippers, foreign suppliers, and others. This comprehensive approach can help better protect food safety. Join EAS Independent Advisor for FSMA and former FDA Seattle District Officer, Charles Breen and EAS Independent Advisor for Import Operations and former Director of the FDA’s Division of Import Operations, Domenic Veneziano, for an informative and fast-paced webinar on understanding the requirements of an FDA Qualified Individual and Auditor. 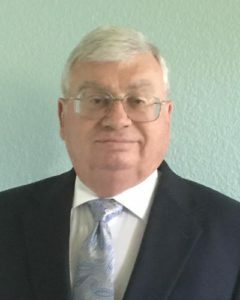 Mr. Breen became available to EAS Consulting Group after a distinguished career at the FDA working in areas such as HACCP and LACF and BSE prohibited materials in the dairy. Mr. Breen has worked with the industry on compliance issues related to the Bioterrorism Act of 2003 and led the field and HQ professionals in developing and implementing surveillance and compliance programs, and initial FSMA training implementation. His attention to detail has garnered him an FDA Award of Merit, Outstanding Achievement and five Commissioner Special Citations. Mr. Veneziano is a veteran FDA specialist with over 24 years of Agency experience. He served as director of the FDA’s Division of Import Operations for more than ten years. In that role, he was responsible for oversight of FDA’s import operations program and provided leadership, guidance, and direction to approximately 1,000 field investigators in more than 320 U.S. ports of entry. He also served as co-lead in the development of the FSMA import regulations and was the senior advisor on the implementation of FSMA and the FDA Safety and Innovation Act. Mr. Veneziano began his FDA career in 1992 as a field investigator in the New England District specializing in medical device inspections. In 1998 he became a supervisory investigator in New England overseeing the medical device and import programs. Presented by EAS Independent Consultants Robbie Burns, Ph.D. and Timothy Morck, Ph.D. and Independent Advisor for Food and Color Additive Safety, Robert Martin, Ph.D. The submission stage of a New Infant Formula Notification may seem like the beginning of the end of a years-long process of research and strategic development. But, without all the right documentation in place, this last step prior to product launch can be unnecessarily delayed for those companies not well-prepared for the rigors of FDA review and assessment. Just some of the roadblocks Infant Formulas face is that all ingredients must be GRAS specifically for Infant Formula use, Approved Food Additives, or have a history of safe use in U.S. formulas. The submissions which demonstrate this must also show that their formulations deliver on nutrient label declarations throughout shelf-life with nutrient levels within FDA-established ranges. Some examples of required studies include Protein Efficiency Ratio test for protein quality, nutritional shelf life stability studies and infant growth monitoring studies, all which must demonstrate the product is produced under processing conditions that assure safe and consistent formulas. Finally, when all the data is available it is assembled into a well-designed New Infant Formula Notification (NIFN) which is submitted to and reviewed by FDA. Learn the steps to NIFNs as well as the pitfalls and challenges companies face in leading up to the assembling of an Infant Formula dossier. EAS Consulting Group’s experts, scientists, and leaders in their fields at FDA and industry will walk you through challenges and pitfalls which delay or prevent final FDA approval of this most important nutrient for growing infants. Join Robert Martin, Ph.D., Robert Burns, Ph.D. and Timothy Morck, Ph.D. for an informative and technical overview of one of FDA’s most challenging applications. Learn more about EAS services with New Infant Formula Notifications as Allen Sayler and Robbie Burns, Ph.D. share critical information on FDA expectations for safety and submissions of NFINs. Dr. Robert Martin is a former deputy director of FDA’s Division of Biotechnology and GRAS Notice Review. His 38-year career at the agency included service as a research chemist and as a consumer safety officer in the Division of Food and Color Additives. He became a supervisor and team leader after that division was renamed the Division of Petition Control. 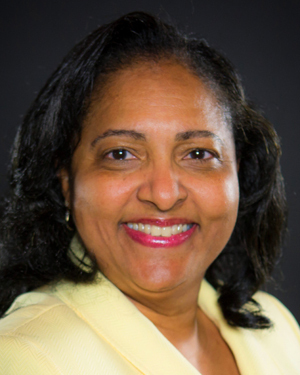 Dr. Martin holds a Ph.D. in chemistry from Georgetown University. Robert, “Robbie” Burns retired from the Grocery Manufacturers Association as former Vice President of Health and Nutrition Policy. Previously, he was the Global Nutrition and Scientific Affairs Director at Cadbury Schweppes where he worked to establish consistent global standards and strategies for the improvement of product pipelines. Prior to Cadbury, he was at Mead Johnson Nutritionals where he worked on the scientific and regulatory aspects of new and reformulated infant formulas, Medical Foods and other nutritional products. Robbie has a Ph.D. in Nutritional Biochemistry from Queens University in Belfast, Ireland with Postdoctoral Research Fellowships at the Universities of Nottingham and Illinois, Urbana-Champaign. He is the author of nearly 50 papers and articles and has been an invited speaker at dozens of international symposiums and conferences. Timothy Morck provides expertise in nutrition-related research, product development, regulatory and public policy and global scientific affairs. Dr. Morck’s career includes clinical nutrition practice, research, and medical school faculty appointments, scientific association management, entrepreneurial personalized nutrition start-ups, and executive and senior management positions at several global food, nutrition and pharmaceutical companies including The Dannon Company, Mead Johnson Nutritionals, Abbott Nutrition, Nestle Health Science and Nestle Corporate Affairs. The interplay between the legal, scientific, and regulatory framework surrounding medical foods has been a particularly sharp focus for him. He received a B.S. in animal science from Penn State University, followed by MS and Ph.D. degrees in nutrition (biochemistry & physiology minors) from Cornell University. Regardless of the type of industry, if you are regulated by the FDA you are bound by the rules around electronic data integrity. Whether preparing to release a finished batch of material, making decisions on data and information that was created and generated electronically or preparing to file a technical dossier with the FDA; your electronic recordkeeping and other electronic data forms require more than just being available for review and inspection. The FDA requires these sources of evidence to be generated, processed and maintained in a manner that provides complete traceability, prevents unauthorized alteration and requires a verified electronic signature that ensures identity and authenticity. Learn the specifics of Part 11 requirements for electronic signatures with Jeffrey Roberts on May 14, 2019. This complimentary webinar will discuss how record keeping is inclusive of a larger focus on GMPs for electronic records that are created, modified, maintained, archived, retrieved, or transmitted as well the specifics of content that must be included in these records for verification and validation. Register here. EAS Independent Consultant, Jeffrey Roberts, is an expert in software and systems auditing/validation including compliance with 21 CFR Part 11, 21 CFR Part 820 and ISO-13485. He writes Software Development Life Cycle (SDLC) documents including Validation Compliance Plan (VCP), Functional Requirements Specification (FRS), System Design Specification (SDS), Installation Qualification (IQ), Operational Qualification (OQ), Performance Qualification (PQ), Requirements Traceability Matrix (RTM) and Validation Summary Report (VSR). EAS’ Food Labeling Compliance Seminar has been awarded 16 CEU credits by the Commission on Dietetic Registration. As the food industry turns its focus to compliance with the latest FDA guidance for labeling regulations, the significance of those changes and how they influence claims are raising questions. Which ingredients must be declared added sugars and which can be as dietary fiber? EAS Consulting Group, with our vast expertise in assisting food firms in all manners of FDA compliance is offering a food labeling compliance seminar in Philadelphia, PA and an opportunity to learn from our internationally renowned labeling experts. Learn food labeling regulations from internationally renowned experts, who had primary roles at FDA in shaping current labeling regulations and experience in the development of thousands of food labels. This hands-on, two-day seminar covers the basics of how foods need to be labeled to comply with the complex set of labeling rules, covers the latest in food labeling issues that have gotten attention from FDA, and provides answers to your most challenging questions. Hotel reservations can be made by calling the hotel at 949-224-3900 and asking for the EAS Consulting rate of $179+ tax, or by using the following booking link: EAS Consulting Booking Link. Cut-off date for receiving this negotiated rate with the hotel is October 19, 2019. Individuals involved in management, regulatory affairs, and quality control/assurance in the manufacturing of foods. Those responsible for preparing or reviewing food labels. Consultants, auditors, attorneys and others interested in food labeling compliance. Learn FDA food labeling requirements from labeling experts who helped to develop and implement the current regulations and have reviewed hundreds of labels for the industry. Learn about hot issues that have triggered recent FDA warning letters. Apply learning in practical work sessions. Have your specific issues addressed and discussed in a casual, interactive learning environment. During Dr. Hoadley’s 20-year FDA career, he participated in the development of NLEA-implementing nutrition labeling and health claim regulations. As a Senior Regulatory Scientist in the Office of Nutritional Products, Labeling and Dietary Supplements (ONPLDS) Dr. Hoadley’s primary responsibilities were in food label claim regulations. In this role, he conducted scientific and regulatory reviews of petitions for new health claims and nutrient content claims. Gisela Leon brings in over 21 years of experience in international labeling of food and over 8 years’ experience in US labeling. As a regulatory consultant, she has focused on a concise review process for food, dietary supplements, and cosmetics. As a long term EAS Consultant she has reviewed hundreds of labels for US compliance and helped international products to come into compliance with US regulations. Her international labeling background allows her to point out differences or similarities with other countries. Should the minimum enrollment number for the seminar not be met, EAS has the right to cancel by October 14, 2019, and refund the registration fee in full. Cancellations received before September 14, 2019 will result in a $95 processing fee. No refunds will be given for cancellations received after that date. Substitutions will be allowed as long as notice is given to EAS in advance. EAS will conduct this seminar for individual firms upon request. Bringing the seminar in-house at your facilities can be a cost-effective alternative to train your employees. It also allows the program to be tailored to your particular needs. Contact Cathryn Sacra for a price quote. (571) 447-5500 or csacra@easconsultinggroup.com. Dietary supplement manufacturers need to keep up to date on new and changing FDA labeling policies as they will undoubtedly carry over to an increased focus on labeling enforcement. This seminar provides all that is necessary to prepare labels that comply with FDA requirements. It will address the regulatory requirements for the mandatory labeling elements and will cover allowable dietary supplement claims. Attendees will participate in a workgroup exercise to facilitate their understanding of the regulations as well as understand how dietary supplement label requirements differ from those of foods and issues that have triggered FDA enforcement actions. Gisela Leon brings in over 21 years of experience in international labeling of food and over 8 years’ experience in US labeling. As a regulatory consultant, she has focused on a concise review process for food, dietary supplements, and cosmetics. As a long-term EAS Consultant, she has reviewed hundreds of labels for US compliance and helped international products to come into compliance with US regulations. Her international labeling background allows her to point out differences or similarities with other countries. Those responsible for preparing or reviewing dietary supplement labels. Consultants, auditors, attorneys and others interested in food labeling compliance. Learn FDA dietary supplement labeling requirements from regulatory experts. Should the minimum enrollment number for the seminar not be met, EAS has the right to cancel by October 12, 2019, and refund the registration fee in full. Cancellations received before September 12, 2019 will result in a $95 processing fee. No refunds will be given for cancellations received after that date. Substitutions will be allowed as long as notice is given to EAS in advance. EAS will conduct this seminar for individual firms upon request. Bringing the seminar in-house at your facilities can be a cost-effective alternative to train your employees. It also allows the program to be tailored to your particular needs. Contact Cathryn Sacra for a price quote. (571) 447-5500 or csacra@easconsultinggroup.com. The GMPs dictated in 21 CFR 111 have been in place for over a decade, but the FDA continues to issue numerous Warning Letters to the industry for a failure to comply with even the basic tenants of the regulation. For instance, out of 483 inspections conducted in 2015, the agency issued approximately 290 Warning Letters. In light of increased FDA oversight, a thorough review on new industry rules on good manufacturing practices (GMPS) is warranted. EAS Consulting Group will be conducting a Dietary Supplement GMP Seminar to help firms prepare for increased FDA enforcement. Given by former FDA compliance officials and industry experts, this intensive training program will provide all the information needed to comply with the rules, covering the responsibilities of domestic and foreign firms who manufacture, label, pack or hold dietary supplements for sale in the United States, including those involved with the testing, quality control and distribution of supplements. Dr. Couch is a Ph.D. Analytical / Organic Chemist with exceptional analytical abilities and over 25 years of diverse laboratory and regulatory experience in academic, field, contract, and manufacturing environments. She is a sought-after expert on issues pertaining to Quality Control in both pharmaceutical and dietary supplement manufacturing facilities including the establishment of specifications and the development of well-organized, sophisticated laboratories. As a consultant Dr. Couch has assisted numerous dietary supplement companies with the development, improvement, and implementation of strong Quality Systems that are scientifically sound, efficient, practical, and compliant with all FDA regulations. She also performs mock FDA inspections, gap-analyses, and contractor facility audits. In addition, Dr. Couch provides GMP and laboratory trainings via seminar, webinar, and on-site presentations. Mr. Fish joined EAS Consulting Group, LLC in November 2006 after ten years consulting for FDA regulated industries. He spent 33 years with Food and Drug Administration (FDA), the last 6 years of that service as Director, Division of Field Investigations (DFI). He was responsible for general policy and guidance for the Agency’s domestic and international investigation activities. He also managed the foreign inspections’ operations. Prior to that position, Mr. Fish was Director of Compliance at the Nashville District Office and was also a Supervisory Investigator at the Nashville District Office. Mr. Fish began his career as an investigator in the Minneapolis District Office in 1962, and subsequently served as an Investigator at the Grand Rapids Residence Post and the Detroit District Office. Mr. Fish is experienced in all aspects of FDA regulated products. He has expertise in compliance matters and Current Good Manufacturing Practice Regulations (GMPs) as they relate to pharmaceutical, device, and biologics manufacture. Further, Mr. Fish is ISO 9000 Lead Assessor Trained and is an AFDO Certified HACCP Instructor. He is a sought-after expert, speaking at international events on FDA inspections and GMPs. 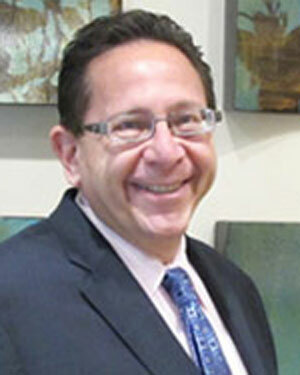 Marc Ullman, Of Counsel at Rivkin Radler, LLP. Attorney Marc Ullman represents clients in matters relating to all aspects of the firm’s practice, including Food and Drug Administration and Drug Enforcement Administration matters, regulatory issues, Federal Trade Commission proceedings and litigation. He practiced with one of New York’s leading white collar criminal defense firms for ten years, where he represented clients in both federal and state prosecutions, as well as numerous related civil matters and other litigations. Individuals involved in management, regulatory affairs, and quality control/assurance in the manufacturing, labeling, packaging, storing and distribution of dietary supplements. Consultants, auditors, attorneys and others interested in learning about the requirements of the new dietary supplement GMPs and how they should be applied. Receive detailed practical guidance on how to apply these requirements. Be given an opportunity to demonstrate your understanding of GMPs in group work sessions Be coached on how to prepare for an FDA inspection and how to avoid receiving a List of Objectionable Inspection Observations (Form FDA 483) and the end of an FDA inspection. Should the minimum enrollment number for the seminar not be met, EAS has the right to cancel by October 15, 2019 and refund the registration fee in full. Cancellations received before September 15, 2019 will result in a $95 processing fee. No refunds will be given for cancellations received after that date. Substitutions will be allowed as long as notice is given to EAS in advance. EAS will conduct this seminar for individual firms upon request. Bringing the seminar in-house to your facilities can be a cost-effective alternative to train your employees. It also allows the program to be tailored to your particular needs. What Does the 2018 Farm Bill Mean for the Cannabis Industry? The 2018 Farm Bill answered many questions for the cannabis industry, but its message has also been largely misunderstood. Misinterpretations as to the legality of including cannabis as an ingredient in foods, herbal products, and dietary supplements have erroneously lead firms to begin planning and production of illegal products, and, in the case of those which legally include (by state) CBD ingredients there is often little regard or understanding of how to manage the quality, including product specifications for the production of a consistent and safe product. Join EAS Senior Tara Lin Couch, Ph.D. and special guest, Marc Ullman with Rivkin Radler for a dynamic and informative discussion on what the Farm Bill really means for the cannabis industry. What is FDA’s position on cannabis and how are the states managing the patchwork of federal regulations that make this burgeoning industry so confusing? Finally, in those cases where companies are legally producing cannabis products, what steps should be taken to implement and improve upon sound quality systems? Dr. Couch is a Ph.D. Analytical / Organic Chemist with exceptional analytical abilities and over 25-years of diverse laboratory and regulatory experience in academic, field, contract, and manufacturing environments. She is a sought-after expert on issues pertaining to Quality Control in both pharmaceutical and dietary supplement manufacturing facilities including the establishment of specifications and the development of well-organized, sophisticated laboratories. As a consultant Dr. Couch has assisted numerous dietary supplement companies with the development, improvement, and implementation of strong Quality Systems that are scientifically sound, efficient, practical, and compliant with all FDA regulations. She also performs mock FDA inspections, gap- analyses, and contractor facility audits. In addition, Dr. Couch provides GMP and laboratory trainings via seminar, webinar, and on-site presentations. Presented by Steve Cammarn, Ph.D. Product development in the dietary supplement industry has never been more competitive. With new companies and products arriving in the marketplace at rapid speed, the pressure is on to develop something new and exciting for the consumer in order to stay ahead of the competition. When developing new products, one area that cannot be overlooked is that of regulatory compliance with the Dietary Supplement Health and Education Act of 1994 (DSHEA), and FDA’s Good Manufacturing Practice requirements for dietary supplements per 21 CFR 111, Current Good Manufacturing Practice (cGMP) in Manufacturing, Packaging, Labeling, or Holding Operations for Dietary Supplements,and appropriate labeling of the dietary supplement product in accordance to 21 CFR 101, Food Labeling. Join EAS Independent Consultant, Steve Cammarn, Ph.D., for a discussion on principles and techniques for a phased-approach of the development of vitamin, mineral, and supplements, incorporating product design, process development, supply chain establishment, and qualification. Dr. Cammarn weaves together the scientific principles as well as the overarching regulatory requirements that must be met for commercial and compliance success. Stephen Cammarn, Ph.D., is an independent consultant with EAS Consulting Group. Previously, Dr. Cammarn served 34 years as a leader in healthcare R&D and Quality Assurance with The Procter & Gamble Company. Stephen led and managed organizations that spanned the Americas, EMEA, and Asia, responsible for global Pharmaceutical Development and Quality Assurance for healthcare products. He has expertise in formulation, design, process, technical support, quality and regulatory aspects of pharmaceuticals, OTC medicines; vitamins, minerals and supplements; oral care products and devices, and foods. Stephen also holds numerous patents and has developed, obtained FDA approval for and launched numerous new products, and has led work to remediate contractor firms after FDA observations and Warning Letters. Stephen also has extensive experience in due diligence, joint ventures, and partnerships. Stephen holds an undergraduate degree in Chemical Engineering and a Ph.D. in Industrial Pharmacy. Stephen has also served as adjunct faculty with the University of Cincinnati College of Pharmacy, as well as on numerous community boards. Dietary Supplements and FSMA Compliance – Fallacy or Fact? In 1994 the Dietary Supplement Health and Education Act (DSHEA) created a new, legal class of products, called “Dietary Supplements”, which are regulated by the FDA as a subcategory of foods. Since DHSEA, the Food Safety Modernization Act (FSMA) of 2011 was passed, and as a category of foods, dietary supplements are now subject to many aspects of the Seven major regulations that were issued by FDA to support enforcement of FSMA. One of the most important of these regulations being 21 CFR 117, Current Good Manufacturing Practice (cGMP) and Hazard Analysis and Risk-Based Preventative Controls for Human Food (PCHF), which requires, among other things, that a Preventive Controls Qualified Individual (PCQI) develop a food safety plan. Another FSMA requirement is the need for a Foreign Supplier Verification Program (FSVP) when materials are sourced internationally which has been estimated to be more than half of all dietary supplement ingredients. Unfortunately, the dietary supplement industry is plagued by lack of compliance with these critical FSMA requirements and the FDA is beginning to crack down on firms with increased enforcement actions. How does the dietary supplement industry including raw material manufacturers and suppliers, dietary supplement manufacturers, and dietary supplement brand owners referred to as Own Label Distributors (OLDs) avoid these enforcement actions? What aspects of FSMA’s Preventive Controls for Human Foods, 21 CFR 117, apply? What about other FSMA responsibilities like FSVP? 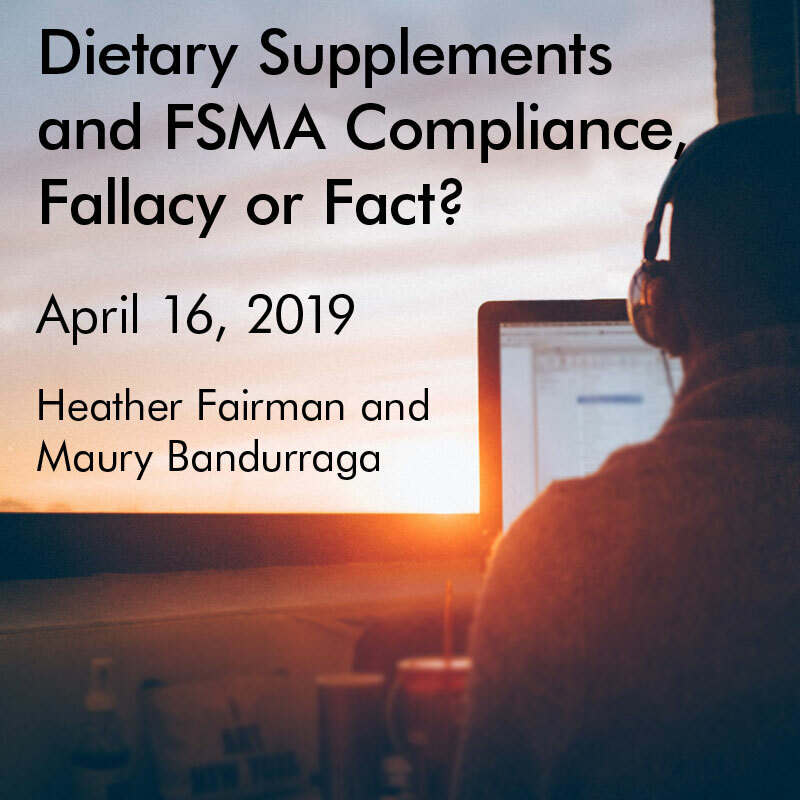 Join EAS Consulting Group’s FSMA and Dietary Supplement experts Heather Fairman and Maury Bandurraga for an overview of the FSMA regulation and a deeper dive into those aspects which specifically apply to dietary supplements. Learn the crucial steps to compliance, including what must be included in a food safety plan and what qualifications the PCQI must have in order to be qualified to create and oversee the program, and what is needed to develop an FSVP. Dietary Supplement OLDs, manufacturers and raw material suppliers all have an obligation to protect public safety and ensure compliance with all the applicable regulations. Understanding these FSMA requirements and their role in the supply-chain are key to ensuring compliance. Heather Fairman brings 30 years of experience in QA/QC and regulatory compliance from her leadership roles in FDA regulated industries. She was formerly director of Corporate QA and regulatory compliance and the chief safety officer at Natural Organics, Inc., a New York based dietary supplement manufacturer. She has vast experience in establishing, reviewing and executing thorough SOPs, and in handling FDA audits, issues and responses. In addition to consulting, Ms. Fairman is a technical advisor to SIDS DOCK IWON herbal/raw material ingredient supply chain portfolio projects. SIDS (Small Island Development States) DOCK Island Women Open Network (IWON), is a Sustainable Energy and Climate Resilience Organization, that is the only small island intergovernmental organization vested with the full powers of the United Nations (UN), comprising almost 40 sovereign countries or one-fifth of the UN membership. Heather is a PCQI and was trained in FSMA-PCHF (Preventive Controls for Human Food) through the FDA accredited FSPCA program. 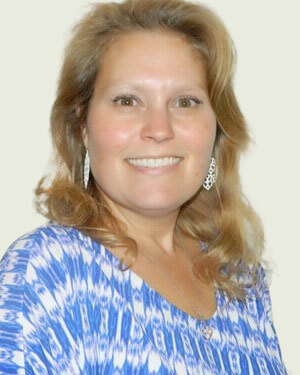 She helps both dietary ingredient suppliers and finished product manufacturers meet compliance. Maury Bandurraga has in-depth expertise in quality assurance in a variety of FDA regulated product categories including packaging, food safety and quality, supply chain, labeling and claims. Prior to consulting she was the Food Safety and Quality Assurance Principal Scientist at Kelloggs and Food Supply Chain Food Safety and Quality Assurance Section Head at Procter & Gamble. Maury is both an FSMA and FSVP lead instructor through the FDA accredited FSPCA program and helps food and dietary supplement companies and their supply chains maintain vigilance of safety and compliance with Federal regulations. This one-day intensive program will discuss FDA’s current Good Manufacturing Practice (GMP) requirements for Research and Development and Quality Control Laboratories. The course will cover GMP regulations for physical, analytical, and microbiological laboratories including analyst training and qualification; the labs’ physical facility and environment; instrument qualification, calibration and maintenance programs; laboratory sample control processes; the management of standards and chemicals; the management of data; and overall laboratory documentation. The development, verification, validation, control, and use of test methods as well as transfer thereof will also be discussed. An entire session will be dedicated to the performance of thorough, timely, unbiased, well-documented, and scientifically sound Out-of-Specification (OOS) investigations since this is one of the most critical laboratories quality systems. Tips regarding establishing quality agreements with clients and handling the FDA during an inspection will also be provided. FDA issues of concern will be highlighted throughout the program with emphasis placed on recent FDA regulatory or administrative actions. All of this will allow participants to gain an understanding of the importance of laboratory GMPs and how to meet FDA’s requirements. Dr. Couch is a Ph.D. Analytical / Organic Chemist with over 25 years of diverse laboratory and regulatory experience in academic, field, contract, and manufacturing environments. She possesses exceptional analytical abilities as demonstrated also by her B.S. in Mathematics. She has served as the Study Director on numerous EPA and clinical studies as well as directed the Quality Control department at a pharmaceutical and dietary supplement manufacturing facility. The latter entailed directing all aspects of the quality control analytical and microbiological laboratories including management of the company Stability Program and Quarantine Area operations. Dr. Couch also provided scientific expertise and technical support for new product development, product reformulations, and on-going production challenges. She served as the scientific head of a Strength and Purity Verification Testing Program committee, which provided full label claim testing on dietary supplements to meet all Dietary Supplement Health and Education Act (DSHEA) regulations and expectations of the FDA. Her talents were also utilized to evaluate and set raw material and finished product specifications and prepare product summaries (white papers) for dietary supplement products. As a consultant, Dr. Couch has assisted numerous dietary supplement companies with the development, improvement, and implementation of strong Quality Systems that are scientifically sound, efficient, practical and compliant with all FDA regulations. She is an experienced speaker having presented numerous scientific and regulatory compliance lectures around the country, conducted in-house and external Dietary Supplement GMP trainings, and taught entry level to graduate level chemistry courses and laboratories at several academic institutions. This program would benefit individuals involved in the Regulatory Affairs, Quality Control/Quality Assurance, Manufacturing, Research & Development, Validation/Qualification, laboratory analysts, supervisors, and managers. It will be of particular interest to those charged with implementing, validating and maintaining laboratory compliance programs. Should the minimum enrollment number for the seminar not be met, EAS has the right to cancel within 45 days of the training and refund the registration fee in full. Cancellations received before 46 days prior to the training event will result in a $95 processing fee. No refunds will be given for cancellations received after that date. Substitutions will be allowed as long as notice is given to EAS in advance. The Good Manufacturing Practices (GMP) dictated in FDA’s 21 CFR 111 require that "Each person engaged in manufacturing, packaging, labeling, or holding, or in performing any quality control operations, must have the education, training, or experience to perform the person's assigned functions". In order to maintain compliance with this requirement, most companies require that employees attend an annual GMP refresher training. Training programs ensure a deeper understanding of how to perform specific job responsibilities in a GMP compliant manner. EAS Consulting Group, leaders in FDA regulatory is pleased to offer a new one-day refresher training to help firms meet their training requirements in an in-person personalized setting, providing an opportunity to learn directly from our GMP experts and ask specific questions regarding their GMP issues or situations. Individuals involved in the manufacturing, labeling, packaging, storing and distribution of dietary supplements. In addition, members of the management, regulatory affairs, and quality control/assurance teams would benefit from this training. Attorneys and others interested in learning about the requirements of the dietary supplement GMPs and how they should be applied. Mr. Fish joined EAS Consulting Group, LLC in November 2006 after ten years consulting for FDA regulated industries. He spent 33 years with Food and Drug Administration (FDA), the last 6 years of that service as Director, Division of Field Investigations (DFI). He was responsible for general policy and guidance for the Agency’s domestic and international investigation activities. He also managed the foreign inspections’ operations. Prior to that position, Mr. Fish was Director of Compliance at the Nashville District Office and was also a Supervisory Investigator at the Nashville District Office. Mr. Fish began his career as an investigator in the Minneapolis District Office in 1962 and subsequently served as an Investigator at the Grand Rapids Residence Post and the Detroit District Office. Mr. Fish is experienced in all aspects of FDA regulated products. He has expertise in compliance matters and Current Good Manufacturing Practice Regulations (GMPs) as they relate to pharmaceutical, device, and biologics manufacture. Further, Mr. Fish is ISO 9000 Lead Assessor Trained and is an AFDO Certified HACCP Instructor. He is a sought-after expert, speaking at international events on FDA inspections and GMPs. Join EAS Independent Advisor for OTC Drugs and Labeling, Susan Crane, as she explores the history of OTC Monographs, why reforms are necessary and being undertaken now, and how OTC drug companies can expect those changes to impact their labels in the future in a five-part series starting January 16, 2019. OTC Drugs and Your GMP Obligations – Understanding how the GMPs are Applied and Preparation for FDA Inspection. As the food industry turns its focus to compliance with the latest FDA guidance for labeling regulations, the significance of those changes and how they influence claims are raising questions. Which ingredients must be declared as added sugars and which can be dietary fiber? EAS Consulting Group, with our vast expertise in assisting food firms in all manners of FDA compliance, is offering a food labeling compliance seminar in Alexandria, VA and an opportunity to learn from our internationally renowned labeling experts. Should the minimum enrollment number for the seminar not be met, EAS has the right to cancel by January 2, 2019, and refund the registration fee in full. Cancellations received before February 12, 2019, will result in a $95 processing fee. No refunds will be given for cancellations received after that date. Substitutions will be allowed as long as notice is given to EAS in advance. Between 2010 and 2017 FDA issued 12,444 observations related to GMPs. In light of increased FDA oversight, a thorough review of new industry rules on good manufacturing practices (GMPS) is warranted. Dr. Couch is a Ph.D. Analytical / Organic Chemist with exceptional analytical abilities and over 25 years of diverse laboratory and regulatory experience in academic, field, contract, and manufacturing environments. She is a sought-after expert on issues pertaining to Quality Control in both pharmaceutical and dietary supplement manufacturing facilities including the establishment of specifications and the development of well-organized, sophisticated laboratories. As a consultant, Dr. Couch has assisted numerous dietary supplement companies with the development, improvement, and implementation of strong Quality Systems that are scientifically sound, efficient, practical, and compliant with all FDA regulations. She also performs mock FDA inspections, gap-analyses, and contractor facility audits. In addition, Dr. Couch provides GMP and laboratory training via seminar, webinar, and on-site presentations. Attorney Marc Ullman represents clients in matters relating to all aspects of the firm’s practice, including Food and Drug Administration and Drug Enforcement Administration matters, regulatory issues, Federal Trade Commission proceedings, and litigation. He practiced with one of New York’s leading white-collar criminal defense firms for ten years, where he represented clients in both federal and state prosecutions, as well as numerous related civil matters and other litigations. Should the minimum enrollment number for the seminar not be met, EAS has the right to cancel by January 23, 2019, and refund the registration fee in full. Cancellations received before March 5, 2019, will result in a $95 processing fee. No refunds will be given for cancellations received after that date. Substitutions will be allowed as long as notice is given to EAS in advance. FDA takes data Integrity very seriously and their many Warning Letters and Import Alerts to dosage form and Active Pharmaceutical Ingredient (API) manufacturers in the past several years, indicate that validation is a consistent problem for the pharmaceutical industry. Data integrity, or lack thereof, can have major repercussions for a firm because once FDA finds some data to be unreliable, it considers all of a firms’ data to be unreliable. FDA expects that data to be reliable and accurate, and that crucial and often overlooked validation step can ultimately cost manufacturers untold amounts in R&D, materials, product recalls, submissions, and more. Understand the Agency’s expectations of data integrity as well as how your company can assess your compliance. Learn critical strategies and processes that each firm should undertake to limit data integrity risk and demonstrate reliable data every time. The FSVP requires importers to be proactive, to verify that food they import is safe. This is a huge burden for many Importers and no less so for FDA. FDA's recently increased number of inspections of importers to evaluate their compliance with FSVP requirements is a reflection of FDA's commitment to make FSVP work. FDA inspections are also revealing that a significant number of importers do not understand what is needed to comply nor how. Customs brokers and freight forwarders, if not importers themselves, can help clients know what FDA is looking for, and who can assist them. Please opt-out here if you do not wish to receive email updates from EAS. More and more OTC drug and dietary supplement companies are contracting out manufacturing, packaging, laboratory testing, and distribution services. This requires a full understanding of how those contract services are being conducted in order to have complete confidence that their products are meeting quality specifications and regulatory requirements. In addition in the past several years, the FDA has focused more intensely on such companies that they refer to as “own label distributors” (“OLDs”). The result has been an escalating number of FDA inspections, Form 483 inspection observations, and warning letters. With such increasing FDA enforcement activity, it is imperative that those in responsible positions in OLDs gain a full understanding of FDA’s requirements for “knowing what and how these [contracted] activities are performed so that you can make decisions — whether to approve and release the products for distribution”. This also means that you are “responsible for ensuring that the product is not adulterated for failure to comply with CGMP requirements, regardless of who actually performs the CGMP operations”. Time for an interactive Q&A period will be provided at the end of the presentation. EAS Independent Consultant, Bruce Elsner, has over 28 years of experience working in FDA regulated fortune 250 companies manufacturing and packaging drug, medical device, and cosmetic products. His responsibilities have included laboratory management, process control and improvement, pilot plant management, plant quality assurance management and quality systems improvement across multiple manufacturing and research facilities. He has been consulting for OTC drug and dietary supplement companies for more than 22 years in the areas cGMP compliance auditing and quality systems improvement. His experience also includes training drug and dietary supplement industry personnel in cGMP requirements, assisting in improving their levels of compliance with those regulations and helping them respond to complex issues arising from FDA inspection observations, warning letters and consent decrees. Since CTP Director, Mitch Zeller’s announcement at the 2018 TMA Annual Meeting that the Agency is prioritizing a Tobacco Product Manufacturing Practices Rule (TPMPs), the industry has been speculating regarding what these rules may encompass. While there has been no direct guidance from the FDA to date on what may be included in a TPMP rule, some insight can be gained from the results of the numerous tobacco industry inspections that the Agency has performed over the past 6 years. Based on these inspections there are likely to be numerous requirements regarding TPMPs. Hosted in Cooperation with the Tobacco Merchants Association, this informative webinar will provide an overview of expectations for the TPMP rule and how you can begin assessing your current quality systems. The tobacco industry should now be performing manufacturing and quality process assessments to prepare for the development and implementation of quality systems, manufacturing and packaging controls, facilities management, material controls, equipment qualification and calibrations, equipment cleaning and maintenance processes, sanitation and environmental monitoring programs, and a personnel training program; all of which is governed by written procedures (SOPs) and documented via the generation of records. Based on Mr. Zeller’s presentation, the impending issuance of Tobacco TPMPs in conjunction with FDA’s inspectional activities indicates this preparation should begin sooner rather than later. Dean Cirotta is the President and Chief Operating Officer for EAS Consulting Group where he is responsible for the day to day management of the technical aspects of the company with responsibility for client relations and personnel management. Mr. Cirotta is a highly accomplished Executive with 29 years of experience in the pharmaceutical and dietary supplement industries, including executive management roles with responsibility for regulatory affairs, compliance, quality assurance/control, operations, manufacturing, laboratory operations, and financial and corporate management. Mr. Cirotta works with Pharmaceutical, Dietary Supplement and Tobacco companies to ensure compliance with all applicable FDA laws and regulations. Immediately prior to joining EAS, Mr. Cirotta was President and COO of UPM Pharmaceuticals in Baltimore, Md. and prior to UPM, he was Vice President of Global Regulatory Affairs for the pharmaceutical division of Bausch & Lomb. EAS Senior Director for Dietary Supplement and Pharmaceutical Services, Dr. Tara Lin Couch, is a Ph.D. Analytical / Organic Chemist with exceptional analytical abilities and over 25 years of diverse laboratory and regulatory experience in academic, field, contract, and manufacturing environments. She is a sought-after expert on issues pertaining to Quality Control in pharmaceutical, dietary supplement and tobacco manufacturing facilities including the establishment of specifications and the development of well-organized, sophisticated laboratories. As a Senior Director for EAS Consulting Group, Dr. Couch has assisted numerous companies with the development, improvement, and implementation of strong Quality Systems that are scientifically sound, efficient, practical, and compliant with all FDA regulations. She also performs mock FDA inspections, gap-analyses, and contractor facility audits. In addition, Dr. Couch provides GMP and laboratory training via seminar, webinar, and on-site presentations. Are Industry-Initiated Environmental Swab-a-Thons a Benefit? The emphasis on proactive management of issues that could cause a food safety hazard, per FDA’s Food Safety Modernization Act, requires firms to improve controls for a variety of issues at all levels. One hot-button concern that continues to wreak havoc in the industry is that of pathogen contamination. It is generally understood that contamination in the processing environment will eventually make its way into the product. Even with the best of safety controls, it is imperative that companies have a robust environmental monitoring program that includes vigilant and regular testing. After all, finished product testing gives limited data and is a small snapshot of the entire lot manufactured. FDA can take hundreds of swabs during inspections, does your environmental monitoring meet that level of testing? Food Standards are an important component of FDA’s oversight, ensuring honesty and fairness to the consumer through requirements that provide for the basic nature of a standardized food to be uniform in terms of its characteristics as well as the ingredients that it must or may contain, (i.e., mandatory and optional ingredients. But what happens when a newly developed food or production method warrants consideration of a product category outside of the standard? Petitioning to amend a food standard or to create a new one, is a lengthy and complicated process; however, a temporary solution may be available through a specialized category called a Temporary Marketing Permit(TMP’s). With TMP’s companies with novel standardized food innovations may apply to market test a food product that deviates from the standard of identity for that particular food, providing FDA with data needed to consider a future petition to amend the standard. April Kates was most recently a supervisory consumer safety officer at FDA. Prior to that position, she served with USDA’s Food Safety and Inspection Service Federal-State Audit Branch, also as a supervisory consumer safety officer. Previously, she served as manager of regulatory compliance at McCormick Spice Company, as a food regulatory specialist at American Ingredients Company (now Corbion), as a program analyst at FSIS, and as a food technologist at FDA. Have you ever wondered why your foreign suppliers: API, intermediates, food ingredients, etc. are suddenly in trouble with regulatory authorities? Did they just go astray or is your auditing program not performing as designed? Actually, there are several things at play. EAS Independent Consultant, Peter Saxon, will shed some light on reasons FDA inspections can “go south” as well as provide insight on how disappointing results can be managed. Saxon has personally attended 90 FDA inspections of foreign facilities and another 15 inspections by other regulatory agencies (TGA, WHO, EDQM). His insights will provide an opportunity for companies to consider improvements to their internal audit structure to help minimize regulatory risks. Dr. Tara Lin Couch is a Ph.D. Analytical / Organic Chemist with exceptional analytical abilities and over 25 years of diverse laboratory and regulatory experience in academic, field, contract, and manufacturing environments. 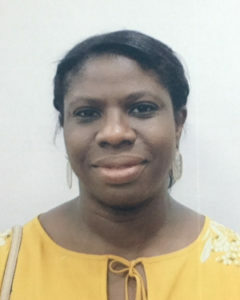 She is a sought-after expert on issues pertaining to Quality Control in pharmaceutical, dietary supplement and tobacco manufacturing facilities including the establishment of specifications and the development of well-organized, sophisticated laboratories. As a Senior Director for EAS Consulting Group, Dr. Couch has assisted numerous companies with the development, improvement, and implementation of strong Quality Systems that are scientifically sound, efficient, practical, and compliant with all FDA regulations. She also performs mock FDA inspections, gap-analyses, and contractor facility audits. In addition, Dr. Couch provides GMP and laboratory training via seminar, webinar, and on-site presentations. The Good Manufacturing Practices (GMPs) dictated in 21 CFR 111 have been in place for over a decade, but the FDA continues to issue numerous Warning Letters to the industry for a failure to comply with even the basic tenants of the regulation. In addition, as states begin to regulate legalized cannabis, the concern of how GMPs apply to this unique industry cannot be understated. While regulations vary from state to state the quality systems under which cannabis products are grown and manufactured have similarities that can begin to pave the way for putting practices and procedures in place to meet compliance expectations. EAS Consulting Group in cooperation with the American Herbal Products Association (AHPA) will be conducting a two-day intensive Dietary Supplement GMP Seminar to help firms understand their responsibilities and requirements under 21 CFR 111, while also assisting the cannabis industry in understanding how these principles can be applied to their manufacturing operations. Given by former FDA compliance officials and industry experts, this training program will provide a thorough overview of compliance expectations, covering the responsibilities of domestic and foreign firms who manufacture, label, pack or hold dietary supplements for sale in the United States, including those involved with the testing, quality control and distribution of supplements. The Hotel Indigo has extended a discounted guest room rate to registrants of the EAS-AHPA Dietary Supplement GMP seminar. Please make your guest room reservation no later than September 5, 2018, using this dedicated registration link or call the hotel directly and mention EAS Consulting Group. Individuals involved in management, regulatory affairs, and quality control/assurance in the manufacturing, labeling, packaging, storing and distribution of dietary supplements and cannabis products. Consultants, auditors, attorneys and others interested in learning about the requirements of the dietary supplement GMPs and how they should be applied. Receive detailed practical guidance on how to apply the GMP requirements. Be given an opportunity to demonstrate your understanding of GMPs in group work sessions. Be coached on how to prepare for an FDA inspection and how to avoid receiving a List of Objectionable Inspection Observations (Form FDA 483) and the end of an FDA inspection. Mr. Fish joined EAS Consulting Group, LLC in November 2006 after 10 years consulting for FDA regulated industries. He spent 33 years with the Food and Drug Administration (FDA), the last six years of that service as Director, Division of Field Investigations (DFI). He was responsible for general policy and guidance for the Agency’s domestic and international investigation activities. He also managed the foreign inspections’ operations. Prior to that position, Mr. Fish was Director of Compliance at the Nashville District Office and was also a Supervisory Investigator at the Nashville District Office. Mr. Fish began his career as an investigator in the Minneapolis District Office in 1962 and subsequently served as an Investigator at the Grand Rapids Residence Post and the Detroit District Office. Mr. Fish is experienced in all aspects of FDA regulated products. He has expertise in compliance matters and Current Good Manufacturing Practice Regulations (GMPs) as they relate to pharmaceutical, device, and biologics manufacture. Further, Mr. 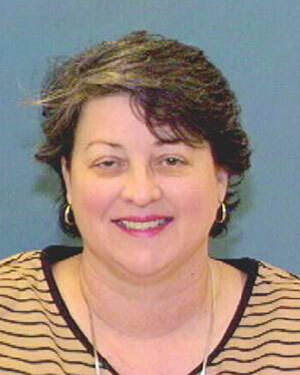 Fish is ISO 9000 Lead Assessor Trained and is an AFDO Certified HACCP Instructor. He is a sought-after expert, speaking at international events on FDA inspections and GMPs. Attorney Marc Ullman represents clients in matters relating to all aspects of the firm’s practice, including Food and Drug Administration and Drug Enforcement Administration matters, regulatory issues, Federal Trade Commission proceedings and litigation. He practiced with one of New York’s leading white-collar criminal defense firms for 10 years, where he represented clients in both federal and state prosecutions, as well as numerous related civil matters and other litigations. Should the minimum enrollment number for the seminar not be met, EAS has the right to cancel by August 15, 2018, and refund the registration fee in full. Cancellations received before August 15, 2018, will result in a $95 processing fee. No refunds will be given for cancellations received after that date. Substitutions will be allowed as long as notice is given to EAS in advance. EAS will conduct this seminar for individual firms upon request. Bringing the seminar in-house at your facilities can be a cost-effective alternative to train your employees. It also allows the program to be tailored to your particular needs. Contact us for more information. Dietary supplement manufacturers need to keep up to date on new and changing FDA labeling policies. Now that FDA has published the final GMP regulations it is anticipated that the regulation of dietary supplements will be given a higher priority. This will undoubtedly carry over to an increased focus on labeling compliance. This seminar will provide all that is necessary to prepare labels that comply with FDA requirements. It will address the regulatory requirements for the mandatory labeling elements and will cover allowable dietary supplement claims. Attendees will participate in a workgroup exercise to facilitate their understanding of the regulations. Should the minimum enrollment number for the seminar not be met, EAS has the right to cancel by July 1, 2018, and refund the registration fee in full. Cancellations received before July 1, 2018, will result in a $95 processing fee. No refunds will be given for cancellations received after that date. Substitutions will be allowed as long as notice is given to EAS in advance. Conferencia web de EAS: Programa de verificación de proveedores extranjeros – ¿qué significa para usted? Foreign Supplier Verification Program – What Does it Mean for You? Si usted exporta alimentos, ingredientes, empaques, suplementos o aditivos alimenticios hacia los Estados Unidos, su agente aduanal en los Estados Unidos, importador y clientes le pedirán proporcionar documentación para verificar que su empresa cumple con la Ley de Modernización de la Inocuidad de los Alimentos (FSMA por sus siglas en Ingles) del Departamento de Drogas y Alimentos (Food and Drug Administration o FDA). Esto incluye el cumplimiento de una serie de nuevas reglas, incluyendo “controles preventivos para alimentos humanos (PCHF)”, “controles preventivo de alimentos para animales (PCAF)”, regulaciones de seguridad de los productos agrícolas frescos, transporte sanitario y defensa de alimentos. If you export food, food ingredients, food packaging, dietary supplements or food additives to the United States, your U.S. Customs Agent, FSVP Importer and customer now requires you to provide documentation verifying that your company is compliant with the Food Safety Modernization Act (FSMA) regulations from the U.S. Food and Drug Administration (FDA). This includes compliance with a range of new rules, including “Preventive Controls for Human Foods (PCHF)”, “Preventive Controls for Animal Feeds (PCAF)”, Produce Safety regulations, Sanitary Transport and Food Defense. ¿Qué significa esto para su negocio? ¿Qué tipos de documentos se le pedirá proporcionar a su negocio? What does that mean for your business? What kinds of documents will your business be asked to provide? Únete al Consultor independiente del Grupo Consultor EAS, el Dr. Gustavo González (experto originario de México), en un seminario sobre las complejidades acerca del programa de verificación de proveedores extranjeros (FSVP) y lo que esto significa para usted como proveedor de alimentos, aditivos y hortalizas exportadas a los Estados Unidos. Join EAS Consulting Group Independent Consultant, Dr. Gusatvo Gonzalez for a webinar on the complexities of FSVP and what that means to you as a supplier of foods, food additives and produce exported to the United States, presented in Spanish. El “programa de verificación de proveedores extranjeros (FSVP)” entró en vigor el 26 de mayo de 2017, y las fechas de cumplimiento para empresas pequeñas están ya en efecto. El FSVP requiere que los Importadores a los Estados Unidos verifiquen que sus proveedores extranjeros de alimentos, empaques, ingredientes, suplementos, aditivos y productos alimentarios importados a los Estados Unidos posean el mismo nivel de protección a la salud pública como los productores nacionales. “Foreign Supplier Verification Program (FSVP)” went into effect on May 26, 2017, and compliance dates for smaller firms are now also in effect. The FSVP requires U.S. importers to verify that their foreign suppliers of food, food packaging, food ingredients, dietary supplements, food additives and/or product imported to the U.S. possess the same level of public health protection as is offered by domestic producers. Únete a EAS para un webinar exclusivo, presentado en español, donde el Dr. González ayudará a las empresas a entender los requisitos y documentos necesarios para cumplir FSMA y que es lo que los importadores estadounidenses esperan de ustedes. Join EAS for an exclusive webinar, presented in Spanish, where Dr. Gonzalez will help foreign firms understand the requirements and documents that they will have to meet under FSMA and what U.S. importers will be expecting from them. Foreign entities who operate in US FDA regulated industries must have an appointed US Agent before doing business and importing products into the US. US Agents act as an intermediary between the foreign company and FDA, assisting with two-way communication on requirements and questions such as establishment and facility registrations, product listings as well as submissions such as Foreign Color Manufacturers Testing and Approval through FDA, drug submissions such as IND, DMF, ANDA and their amendments and annual updates, and medical device applications such as 510(k), 513(g), PMA and IDE. In addition to these basic requirements, regulatory US Agents have expertise in providing additional services to foreign clients such as technical reviews of submissions prior to FDA submission, preparation for FDA facility inspections (both through mock-inspections and desk-reviews of documentation), any Corrective Action Plans required by FDA and by providing answers to various questions surrounding the complex FDA regulatory requirements. This webinar is presented by EAS Senior Director for Pharmaceutical and Medical Device Consulting Services, Bryan J. Coleman and Regulatory Specialist, Victoria Pankovich have covered important basic requirements of the US Agent role as well as opportunities to enhance your understanding of FDA oversight of foreign facilities. Medical Device manufacturers understand the tight FDA regulations and legal obligations surrounding devices. From initial safety and effectiveness study design through Pre-Market Applications (PMAs), Pre-Market Notifications (PMN), registration, Good Manufacturing Practices (GMPs) through reporting of adverse events, every detail must be attended to in a thorough and documented quality system. Quality systems are key indicators of a company’s commitment to producing a safe and effective product as well as a company’s good record keeping practices as records are tested and maintained to provide transparency to FDA inspectors in the case of an audit. The more robust the quality system the better outcome companies can expect when FDA knocks at the door for both routine audits and those which are prompted by quality questions or concerns. Good Quality Systems are verified in a variety of ways - through in-house audits; audits with the assistance of third-party consultants who specialize in quality systems; and officially by FDA inspectors. Many companies use a combination of “mock” and “desk” audits to enhance their systems, identify gaps and initiate improved procedures where necessary. The time to assess compliance gaps is now as a product’s quality is the basis for good business practices, ensuring the safety of customers, verifying that the product works effectively and in a manner consistent with which it was approved by FDA. Quality system audits are even used in due diligence assessments in advance of mergers and acquisitions. Join EAS Independent Consultant, George Gary Calafactor for this EAS on-demand webinar, including detailed coverage of Medical Device Quality Auditing. 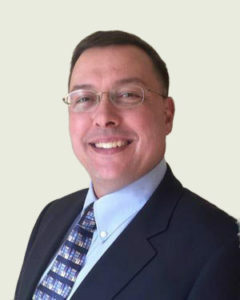 George Gary Calafactor is an EAS Independent Consultant on matters pertaining to medical device quality assurance and regulatory compliance issues. Mr. Calafactor offers a diverse background in quality consulting, auditing, manufacturing, and pharmaceutical, biologic, and medical device operations, with vast experience in the medical device industry, internal FDA operations, and the international business arena. He performs reconciliation and FDA readiness activities associated with FDA level II QSIT inspections and revises and creates quality system procedures using FDA laws, regulations, standards, and guidance documents. He also assists in various FDA inspection backroom activities including subject matter expert coaching. Do you understand the impact of the Food Safety Modernization Act (FSMA) on Acidified Foods (AF)? Do you understand the terms of AF regulations and the interplay with a modern, risk-based food safety plan? Is your food safety system for AF robust enough for an inspection by the Food and Drug Administration (FDA)? Together, the presenters will provide participants with detailed information and insight on acidified foods, their definition, filing requirements, and FDA expectations. Priya Rathnam, M.P.H. is a Consumer Safety Officer in the Division of Compliance Policy/Office of Compliance at FDA’s Center for Food Safety and Applied Nutrition (CFSAN). She was previously a subject matter expert in the Division of Enforcement routinely reviewing regulatory actions related to microbial contamination in food. Priya has worked at CFSAN for over 16 years, and works closely with FDA’s Office of Regulatory Affairs and Office of Chief Counsel in determining regulatory strategies for follow up action. Currently, she works on compliance policy development. She is also co-lead for the FSMA Phase 2 workgroup for implementation of the Preventive Controls in Human foods regulation. EAS Independent Consultant, Omar Oyarzabal is an expert in microbiology and an Associate Professor of Food Safety at the University of Vermont Extension. He has taught food safety, bioinformatics, biostatistics, microbial risk assessment and management, and has delivered numerous international presentations and training courses on food safety in Asian and South American countries for more than 25 years. Oyarzabal serves a current member of the National Advisory Committee for Microbiological Criteria for Foods, a Certified HACCP Auditor (American Society for Quality), a Lead Instructor for the International HACCP Alliance, a Lead Instructor for Preventive Control for Human Food, Foreign Supplier Verification Program, the Sprout Safety Alliance and the Better Process Control School. Oyarzabal is the co-editor of two books: Microbial Food Safety: An Introduction, and DNA Methods in Food Safety: Molecular Typing of Foodborne and Waterborne Bacterial Pathogens. Oyarzabal also serves as the Editor-in-Chief of the scientific journal Microbial Risk Analysis, published by Elsevier. Oyarzabal holds a degree in Veterinary Medicine from the National University of Rio IV, Argentina, and an M.S. and Ph.D. degrees in food safety/microbiology from Auburn University in Auburn, AL. While 2017 is a year for manufacturing facilities to augment their FSMA programs for US markets, 2018 will be a year to update their GFSI systems. Beginning in January SQF advances to Edition 8.0. Learn more about these revisions and the impact on SQF 8.0 on facilities who are, or plan to be, certified by SQF. Susan Moyers, Ph.D., MPH, has more than two decades of experience in developing, training and auditing food safety, quality, and dietary supplement management systems. Dr. Moyers is an SQF Certified Consultant and Trainer, a Lead Trainer for FDA’s Preventive Controls and Foreign Supplier Programs, and a consultant, auditor, and trainer for Dietary Supplement cGMPs and HACCP systems. Kristie Grzywinski, Senior Technical Manager for the Food Marketing Institute’s Safe Quality Food (SQF) Institute, is responsible for delivering education solutions for SQF professionals, including SQF practitioners, consultants, and auditors in support of SQF Institute’s globally-recognized food safety and quality management standard. Grzywinski has made a career of enabling training and education in the foodservice and food manufacturing industries, including 11 years working with the National Restaurant Association’s ServSafe® training program. If you export food, food ingredients, food packaging, dietary supplements or food additives to the United States, your U.S. Importer will soon require that you provide documentation verifying that your company is compliant with the Food Safety Modernization Act (FSMA) regulations from the U.S. Food and Drug Administration (FDA). This could include compliance with a range of new rules, including "Preventive Controls for Human Foods (PCHF)", "Preventive Controls for Animal Feeds (PCAF)", and Produce Safety regulations. Join EAS Consulting Group Independent Advisor for FSMA, Charles Breen and EAS Independent Consultant Dr. Susan Moyers in a webinar directed at foreign embassy staff, and foreign food, food ingredient and food additive firms who export to the United States. Beginning May 26, 2017, FDA’s “Foreign Supplier Verification Program (FSVP)” goes into effect for large firms; smaller firms may have additional time to comply. The FSVP requires U.S. importers to verify that their foreign suppliers of food, food packaging, food ingredients, dietary supplements and/or food additives imported to the U.S. possess the same level of public health protection as is offered by domestic producers. In a related FSMA regulation, the FDA is also offering an optional “fast-track” in 2018 for manufacturers who have a documented safety policy and a solid record of safety in their products. In an exclusive webinar for EAS, Charles Breen and Dr. Susan Moyers will help foreign firms understand the requirements and documents that they will have to meet under FSMA and what U.S. importers will be expecting from them. One of the most fundamental concepts in the dietary supplement regulation dictated in 21 CFR 111, Current Good Manufacturing Practice in Manufacturing, Packaging, Labeling, or Holding Operations for Dietary Supplements, is the role of the Quality Unit (QU). The QU is responsible for reviewing and approving all controlled processes and documentation; as well as making all disposition decisions for raw materials, packaging components, labels, in-process materials, and finished dietary supplement products. It is therefore essential that these quality responsibilities are clearly defined and assigned to appropriate personnel. This can be readily accomplished with a designated QU department at a single firm. However, the dietary supplement industry is an industry of contractors. Own Label Distributors (OLDs) often use multiple contractors to manufacture product, package and label product, test product, and then hold and distribute product to consumers. Given this complexity, the assignment of QU responsibilities can become quite confusing and even entirely lost. The establishment of a Quality Agreement among the contractors can resolve this by defining the QU obligations and responsibilities of each party involved. Learn what constitutes a Quality Agreement and how to establish one with your contractor in the EAS Webinar, Quality Agreements in the Complex World of Dietary Supplements. This FSMA webinar will explore FDA’s anticipated enforcement strategy following finalization of the Hazard Analysis and Risk-based Preventive Control (HARPC) regulations for manufactured foods. The final rule will require that each food facility identify a “Qualified Individual” to conduct a multi-factor hazard analysis, then design and implement a written plan to control significant hazards. The HARPC rules for human and animal feed are scheduled to be published in August 2015 and will become effective 60 days thereafter, with enforcement to follow 12 to 36 months later, depending on company size. The widespread use of social media has had an impact on how we interact in our personal and professional relationships. It is also having a profound effect on businesses and their relationships with customers. 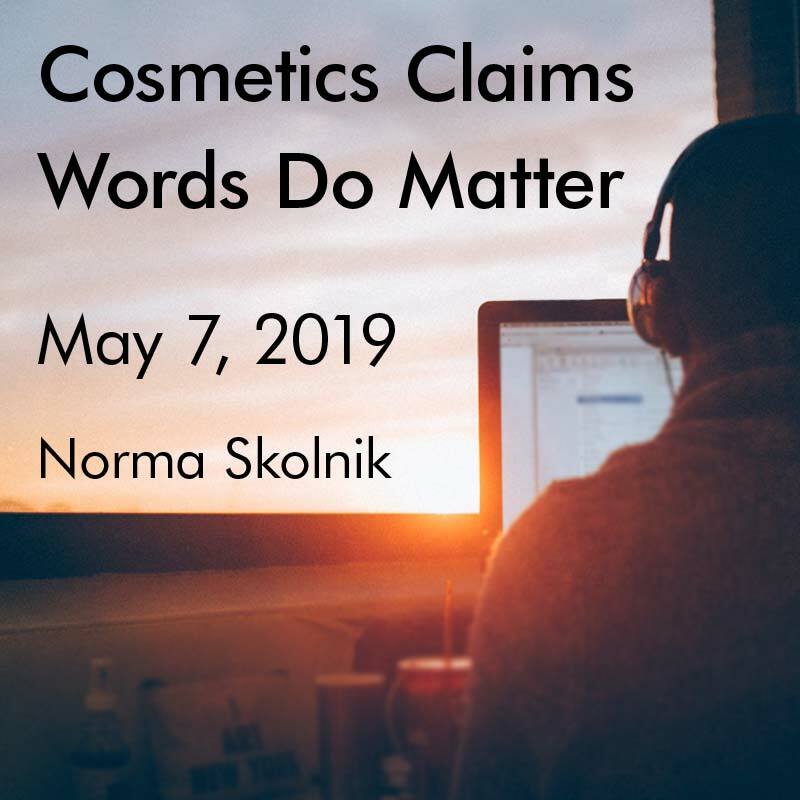 For those of us in FDA-regulated industries, there are implications for marketing strategies and what companies are allowed to say. While the FDA has provided guidance on such strategies for prescription drugs and medical devices, the rules and regulations for advertising of dietary supplement on social media have not been as clear. Learn how these FDA guidance documents, along with those from the Federal Trade Commission, can help you to consider social media as you meet regulatory agency expectations in marketing your dietary supplement products. Ms. Crane is an experienced professional in the pharmaceutical industry specializing in quality and regulatory compliance for over-the-counter (OTC) and dietary supplement products. She has a thorough knowledge of federal regulations on marketing, labeling, and distribution of OTC drugs and dietary supplements.